Shelters and furniture constructed from corrosion resistant materials. Vast selection of materials and styles. City of Rockingham honour local servicemen with memorial timber seats. Wide range of styles, customisation available, site specific engineered. Shelters & furniture for the community to use while the young ones hit the playground. Refreshing options for people and pets. Playground Shelters keeping play surfaces cool and dry. Enclose your MGBs in style. Robust and stylish furniture for a bustling community space. Wide range of styles, accessible options. Custom shelters for an adventurous park. 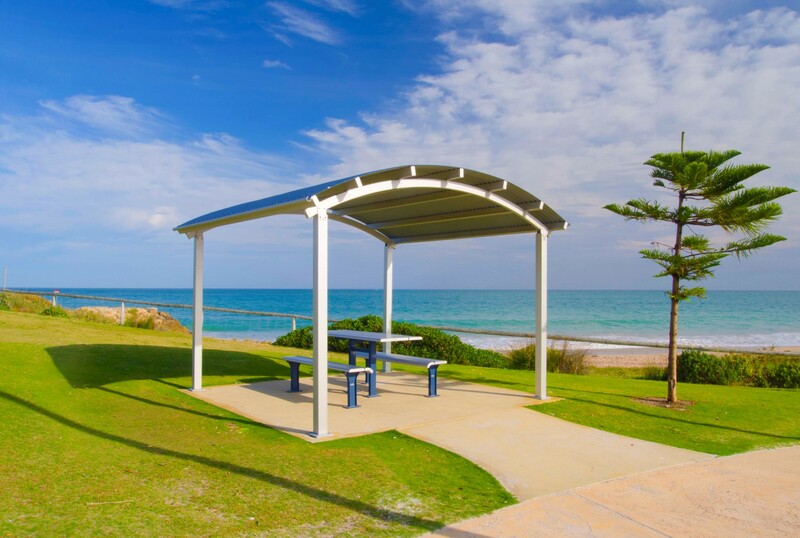 The City of Wanneroo knew that in a coastal location like this, resistance to long term corrosion was an important consideration. We proposed a collection of shelters and furniture constructed from corrosion resistant aluminium and stainless steel to ensure the park looks great many years into the future. Corrosion is the bane of all local governments along WA’s coast. Our harsh environment and never-ending assault of salty air makes short work of any under-prepared infrastructure. To combat this, careful consideration must be made in the selection of materials and finishes. Want to know more about us? Download our corporate profile. Be informed and inspired with news from Exteria direct to your inbox. Sign up! 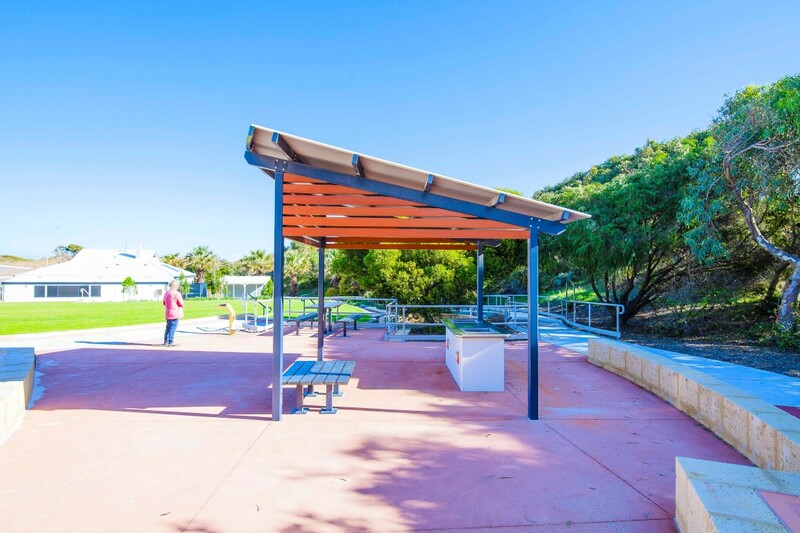 We partner with local governments, developers, architects and landscape contractors to manufacture and install great looking outdoor furniture and shelters for Australian open spaces. We realise no community or public space is the same, that's why we offer an extensive range of products to transform your spaces; whether they be parks, beaches, streets or urban precincts - into attractive living places. You don't just need great looking products, but ones that are long-lasting too. We know the cost of replacement and maintenance is a big consideration when choosing open space infrastructure. Careful material selection, quality in-house manufacturing and attention to detail is how we deliver products that endure. We've got an innovative design team that can craft the look you want, helpful customer service ready to assist, intelligent technical support for when you need it, skilled local installation to ensure a streamlined build, and maintenance and parts delivery to keep your open space safe and operational; our team is there for you.